Braves baseball and ice cream...need I say more? As you know, we are huge Braves fans. This year has been a big transition year, and the opening of the new SunTrust Park has been the talk of the town. We've already spent several of our summer nights cheering on our favorite team, and now that it is literally in our back yard we've had a blast taking the kids to a few games without worrying about getting home so late. This weekend we've already made big plans to attend Sunday's big game versus the Arizona Diamondbacks, but first we plan on tailgating with our friends at Mayfield Creamery and we want you to join us! 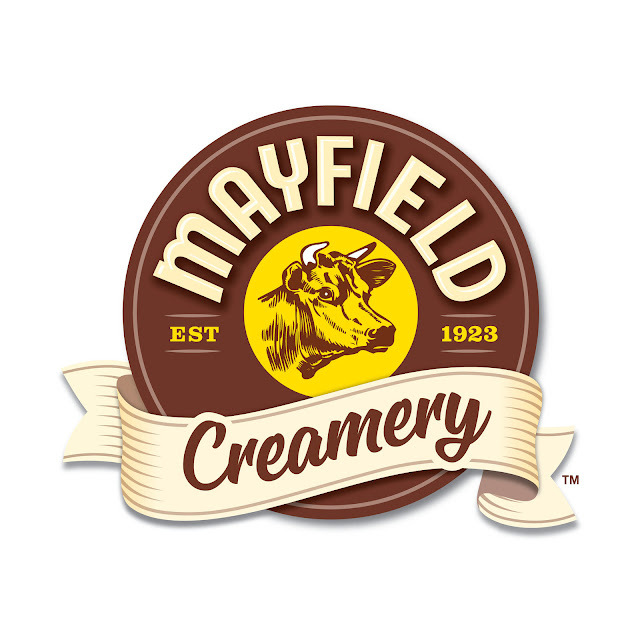 Sunday is National Ice Cream Day and Mayfield Creamery has teamed up with the Braves to celebrate. From 10a.m. to 2:30p.m. the Mayfield team will be hanging out in Lot 29 at SunTrust Park. There will be an ice cream truck handing out free samples (yes please! ), and a prize wheel where you get the chance to win some fun swag. If you can't make the tailgate there is still a chance to get your ice cream fix during the game! There are six kiosks located throughout the stadium that will be passing out your favorite flavors - from their signature Vanilla to our personal favorite Cookies & Cream. We are so excited and are already counting down until the fun! Braves and free ice cream all in one day...it's like Christmas in July to us! P.S. - If you aren't in town you are still able to join in on the fun! Grab your favorite flavor of Mayfield ice cream, and follow along with us during the event on Instagram or at the hashtag #mayfieldmoment. Happy National Ice Cream Day!